Pairing Adirondack spruce with Honduran mahogany results in a mid-range powerhouse. It has the power to fit in with any collection of acoustic instruments and more than hold its own. The wider fretboard facilitates finger picking, rapid fire play. The workshop-installed K&K Pure Mini pickups in the Bedell 1964 Orchestra capture the authentic fullness of analog sound and the vibe of the era, without stage feedback. The ethically sourced tonewoods, the all-wood binding and subtle appointments result in a classic instrument, made with the same care, attention and craftsmanship as guitars from the golden era of instrument building… all at an accessible price point. All Bedell Guitars come with a hardshell case. LOWER BOUT WIDTH - 15.5"
UPPER BOUT WIDTH - 11.375"
For decades, there are certain sounds that demand the warm comforting sound of an all mahogany body. 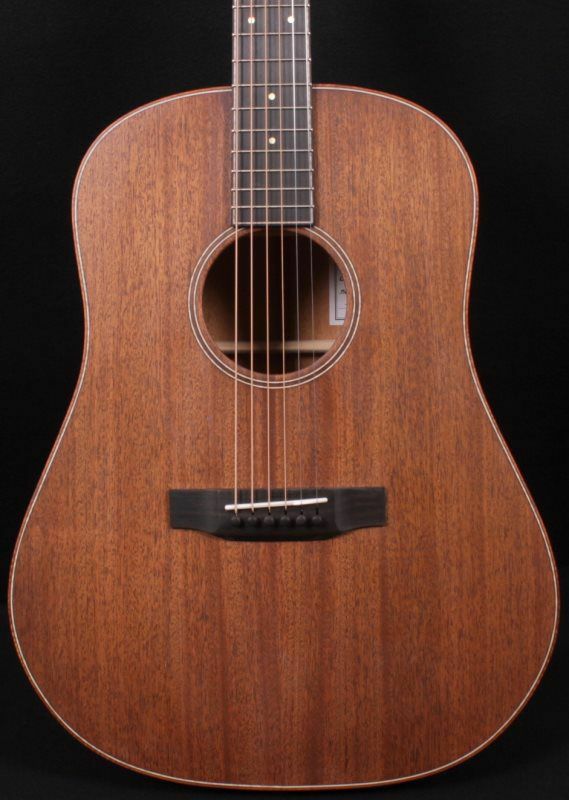 Grown in the Mayan Biosphere of Guatemala, the true Honduran mahogany top, back, sides and neck of the Classic Folk give a sound and feel that will bring your playing and singing to life. LOWER BOUT WIDTH - 15.75"
UPPER BOUT WIDTH - 11.437"
For the timeless folk-rock sound that defined an entire generation, look no further than the Bedell Coffee House Dreadnought. 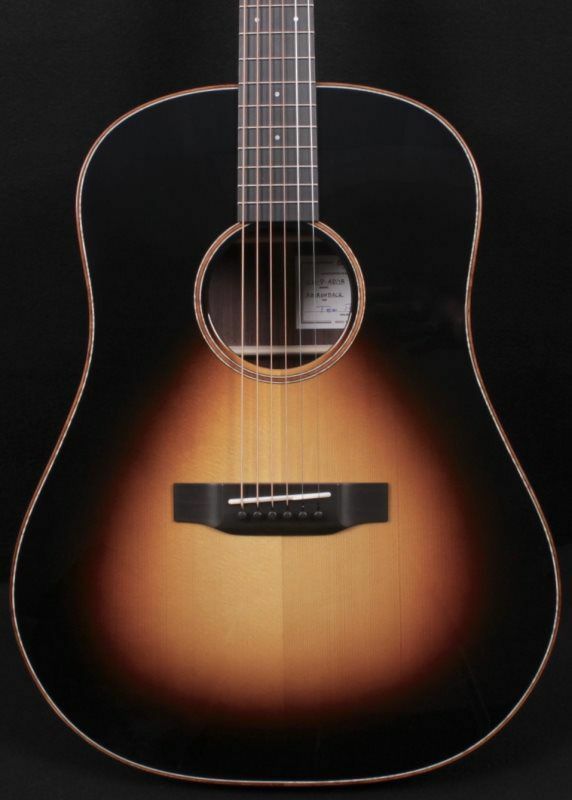 These instruments are exquisitely crafted to revive the spirit that inspired the incredible music of the counterculture era: Adirondack spruce tops from individually harvested trees, sustainably grown Indian rosewood backs and sides, traditional body shapes, an espresso sunburst finish, and a handcrafted koa binding. There is something striking about the sound of rosewood paired with Adirondack spruce… when strummed, the Coffee House guitars take you right back to that moment in time when music was changing forever, when coffee houses were a radical, safe place for youth who wanted to change the world, and who believed in equality, justice, love and authentic self-expression. The workshop-installed K&K Pure Mini pickups in the Bedell Coffee House Dreadnaught capture the fullness of sound and the vibe of the era authentically, without stage feedback. All Bedell Guitars come with a hardshell case. 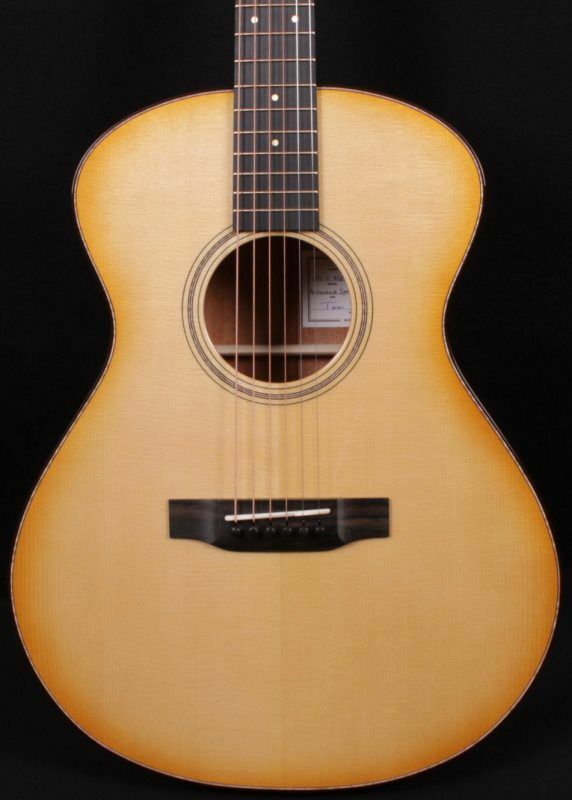 Breedlove’s Distinctively Crafted Sound in the ultra-popular concert body shape, the Discovery Concert CE Sitka Spruce – Mahogany is ready for amplification and is outfitted for ease of playability with a cutaway. Whether you’re just learning, rekindling your passion for the instrument, or an experienced player in need of an affordable instrument that will inspire you, the Breedlove Discovery Concert CE is a great choice. Breedlove’s Distinctively Crafted Sound in the ultra-popular concert body shape and in a great new color, the Discovery Concert Sunburst is ready for amplification and is outfitted for ease of playability with a soft cutaway. The popular and affordable Discover Concert model now comes in an all-mahogany option, offering players a distinctively crafted tone that’s sweet and mellow, yet powerful and dynamic across all frequencies. The solid mahogany top provides great projection and clarity that will only improve as it ages. Delivering well-balanced tone when played fingerstyle, as vocal accompaniment, or at a full strum, the Discovery Concert Sunburst is the launching point for Distinctively Crafted Sound in Breedlove’s best-selling body shape. This easy-to-play instrument is ideal for entry-level players who want access to the renowned balance, clarity, and sustain of a Breedlove guitar in a great new Sunburst finish. The Concert is our most popular body shape, favored by players because it is well-balanced, compact, comfortable to play, and offers all the qualities of a great sounding guitar. It generates a wonderfully articulate range of tone with an ample low end that is never boomy, but always felt. 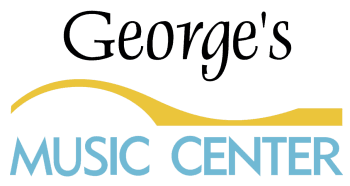 The Concert works well when played fingerstyle, as vocal accompaniment, or at a full strum. New for 2019, but available now, the Discovery Concertina is Breedlove's small body shape, delivering well-balanced sound with additional sound and projection. This easy to play instrument is ideal for entry-level players who want access to the renowned balance, clarity, and sustain of a Breedlove. New for 2018, is Breedlove’s small body guitar, delivering a surprisingly clear, crisp, loud sound. It’s 12-frets to the body design make it a joy to play. Extensive Sound Optimization™ engineering has resulted in a body shape that has a bigger sound and is more comfortable to play than a traditional parlor. Lower Bout Width - 14.75"
Upper Bout Width - 10.828"
New for 2019, but available now, the Discovery Concertina is Breedlove's small body shape, delivering well-balanced sound with additional sound and projection. This easy to play instrument is ideal for entry-level players who want access to the renowned balance, clarity, and sustain of a Breedlove. Finished with a gloss sunburst top.